San Jose, CA (January 8, 2016) – Sikka Software, the leading innovator in Business Intelligence Software for healthcare and small business communities, and the American Dental Association (ADA) announced today that all ADA members are eligible to receive a free, six-month trial of the new ADA Benefit Plan Analyzer (ADA BPA). 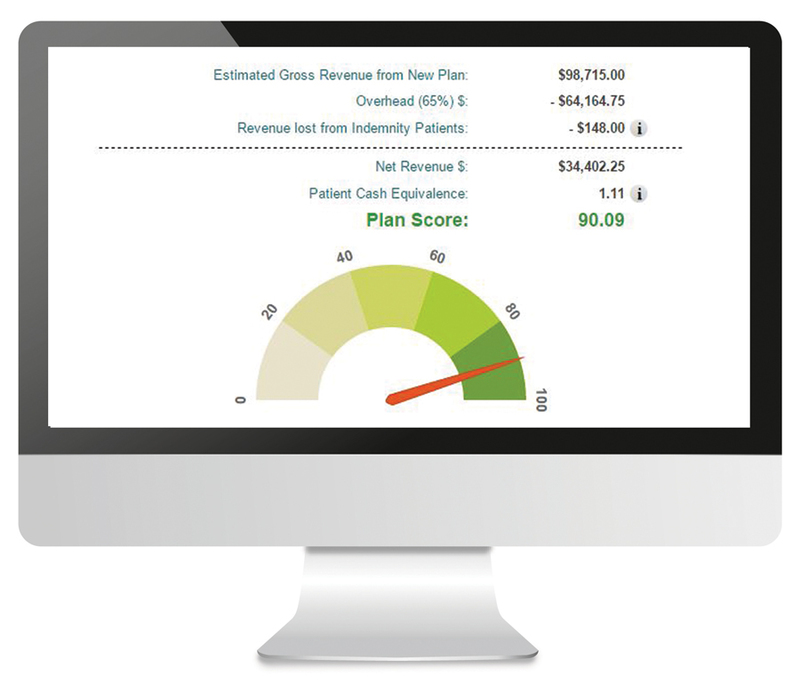 The ADA Benefit Plan Analyzer is designed to help dentists evaluate potential revenue and costs of becoming a provider for dental benefit plans and compare the outcomes via the Sikka Software Platform Cloud. Score the Benefit Plan: This particular ADA BPA tool connects with the dentist’s practice management system, automatically pulling out key data points integral to evaluating insurance plans. Dentists can choose from a list of PPO and DHMO plans across the nation to evaluate. Based on practice-specific inputs, the ADA BPA scores the plan on a 100-point scale, providing a visualization of potential value that can be added to the practice. Each score is unique to a practice and accounts for differences in operational management. Know the Numbers: With the ADA BPA, dentists receive an estimate of not only gross revenue and overhead costs, but also the chair time and practitioner hours associated with serving the patients in the network. Estimates are based on practice inputs, allowing practices to better manage their capacities and administrative hours and ensuring all patients receive the time they need to achieve optimum oral health. Compare Multiple Plans: Each dental benefit plan is different and by using the unique inputs from a practice alongside the proposed fee plan, dentists can compare plans side-by-side for quick and accurate evaluations. Side-by-side comparisons remove the guesswork from choosing insurance plans by providing standardized data that dentists need for objective evaluation. The ADA offers easy enrollment for the free six-month trial by visiting: http://success.ada.org/freeBPA. Non-ADA members may also purchase the tool through the ADA catalog. More than 16,000 providers use Sikka Software apps worldwide. The apps are compatible with 96% of practice management systems and help dentists manage their practices by providing the critical information they need to make management decisions anytime, anywhere. For more information about the ADA Benefit Plan Analyzer as well as all Sikka Software practice management solutions, please visit www.sikkasoftware.com. Sikka Software Corporation is revolutionizing the retail healthcare industry via its platform cloud, analytical tools, apps, and big data leadership. The retail industry includes over 2.1 million providers worldwide and over 600,000 in the United States. The Sikka Platform Cloud allows seamless compatibility with over 96% of the dental, veterinary, vision care, and hearing care markets in the United States. Sikka Software Corporation has over 16,000 installations and is experiencing strong growth and market presence in the retail healthcare big data space. For more information, please visit www.sikkasoftware.com.